Defensive driving (DD) is a marketing nickname for a reasonable and responsible vehicle operating techniques. I actively do not like the term. It implies, that someone is on offensive, and driver is on defensive. Normally there is nobody offending the driver, but himself. And we don't talk about tactical driving, do we? I prefer to get away from defense and use the term �responsible" or "prudent" instead of "defensive". It conducts the intended message without implying enemy-enemy relationship, and therefore, lose-lose approach. Running a website on car driving safety tips, I don't have much choice however. Almost nobody is going to search for responsible or reasonable driving. Very few people are searching for the safe one. Hence I'm going to use the officially accepted term throughout "Fun and Safe". As much as I would prefer to avoid it. Defensive Driving is not a rocket science. Basically, it is all about minimizing the odds of accident happening. As with many other things in life there is a science part and an art part to this. Things like checking tire pressure or consulting a map in advance definitely go to the science part and can be taught and reproduced easily in no time. On the other hand anticipating other drivers' moves cannot be digitized, and depends heavily on your experience. Still, this is a skill that one can acquire. It just takes some time and dedication, and the time is in the order of years rather than weeks or months. 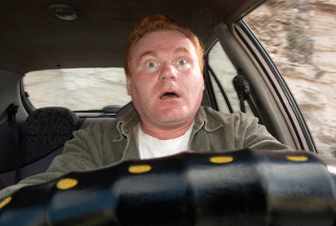 You cannot just attend a Houston defensive driving courses and promptly become a safe driver. Or "defensive driving texas", or any other DMV or court mandated course for this matter - such online courses in Texas major cities like Dallas, Austin, or Houston are just the most popular on the Internet for some reason. If anything, such a course just gives you some information. Providing this information is correct, it still has to be internalized through years of putting it to use. Only when checking the mirrors every now and then, keeping the right distance depending on internal and external factors, and most other basic and advanced vehicle operating techniques become driver's second nature, he matures and becomes a safe one. The major part of DD is anticipating other drivers' moves. Master driver does not need to react to dangerous traffic situation at the last moment. He constantly assesses all what is happening on the road. He anticipates how things are unfolding, and acts to avoid the danger way before it becomes evident to novice drivers. You can easily tell master driver from the average one by watching them braking. Master driver is almost never forced to apply the brakes in emergency. Slight touch of a brake pedal or even just a drop of gas takes him out of a dangerous situation well before it develops. For the novice, almost any braking is an emergency one. Another important part of DD is clearly communicating your existence and intentions to other drivers. I always drive with my low beam on, night or day (I switch to high beam during night if needed of course). This way I'm sure fellow drivers see me. I always try to buy light colored cars for the same reason. Using your blinkers is not an option, it is a way of communicating your intentions when you travel on the road. And your stop lights should be always in order. If your actions or existence take surrounding drivers by surprise, your odds of getting into an accident are extremely high. Contrary to what government wants you to believe adhering to speed limits is not a part of real world DD. Speed limits are set for a number of political and monetary reasons, and usually have little if anything to do with safety. Often on highways even average driver can drive safe well above the set limit. Inside neighborhoods, though, speed limits are usually too high to be safe. One often overlooked part of DD is proactively managing "atmosphere" on the road. Courtesy goes a long way in reducing the level of anxiety around you, thus reducing the odds of an accident. On the other hand attempts to teach fellow drivers a lesson or punish or offend them and in general behavior without regard to others significantly increase psychological tension around you. Other drivers become annoyed, and annoyance leads to impaired judgment, increasing the odds of you getting into an accident. An important concept in real life Defensive Driving is leaving yourself room for error. An experienced driver maintains enough distance on all four sides of his car to allow him to safely react to the changes on the road. And to compensate for any imperfection his reactions can suffer, depending on his current shape, level of concentration, and environment. If master driver has to drive when tired or otherwise impaired (nervous, sick, drunk, etc. ), he will maintain much bigger distances than when he feels fresh and fit. If satisfactory room for error cannot be maintained for any reason, master driver lowers the speed until safe distances can be achieved. This happens for example when heavy rain significantly reduces visibility, reducing possible room for error due to reduced visibility. Another example will be road work leaving one narrow lane with tightly installed concrete blocks on the sides. Defensive driving calls for reducing the speed until safe distances can be maintained in both cases. Driver who mastered real world defensive driving does not depend on other drivers for his and his passengers safety. He actively manages what is happening on the road, increasing his and others safety many times over. He does not fear driving. He enjoys it for all what it has to offer, not just for ability to floor his car or squeal his tires.